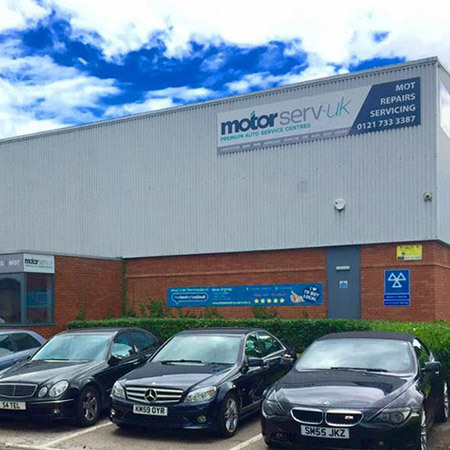 MotorServ-UK is a family owned concern, which currently serves Solihull and surrounding areas within the West Midlands. We plan to open further Centres around the Midlands and around the UK in coming years. Our nationally award-winning business model, is built purely on customer service and repeat custom. Our mission is to deliver high levels of service, whilst saving our customer's as much money as possible! Customers are often left feeling confused and out of pocket when dealing with some main dealers, but they still want to ensure their cars are looked after properly and in a professional manner, which they may not achieve at some independent establishments. We are here to fill that gap, and are proud to offer a newly fitted, state of the art service centre which provides dealer level facilities and expertise, but at a price which is more attune to an Independent garage setup! We provide customers with dealer level facilities; Dedicated service consultants, comfortable waiting areas, with free WiFi and refreshments. High quality Courtesy Cars to stay mobile and Collect & Delivery services to maximise convenience even further. We even provide a complimentary Wash & Vac service on all service and repair bookings. Our technicians are highly trained, and we have access to all manufacturer parts and lubricants which enables us to work on Vehicles to Manufacturer specifications and recommendations. For people who wish to make further savings, we are able to source OE quality parts for all makes and models, and we guarantee all of our parts and labour for a year, for added reassurance. Block exemption regulations mean we are able to service and maintain your car to manufacturer specifications, and your warranty will remain intact! We look after a number of key fleet vehicle providers, which enables us to look after most 'Business Use' cars and light commercial vehicles on the roads today. Having our own DVSA MOT Testers and facilities in house, means we carry out all our own tests for class 4 vehicles, and we are usually running offers and incentives to ensure we remain competitive in the market place, and continually save our customers money. 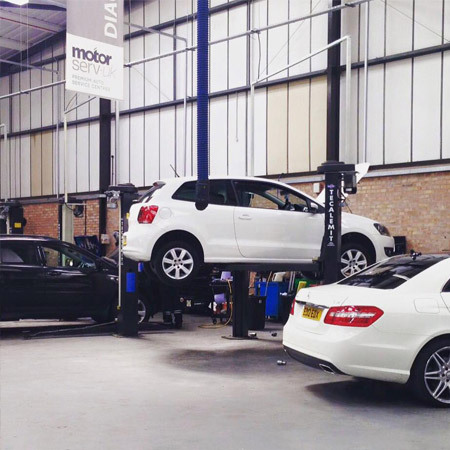 We are afterall the Home of Solihull's £15 MOT with a 'No Pass No Fee' scheme. MotorServ-UK subscribes to the RMI Motorcodes - Which means we are dedicated to providing our customers with a high standard of service and we will ensure your rights as a consumer are fully protected. Our aim is to save you money, and to provide you with choice. We are constantly striving for new ways of helping motorists, and our growing customer base and ever-expanding company is testament to this high quality standard. Company details: M Hasnain & Co Ltd t/a MotorServ UK. Registered office address: Regent House, 188-192 Gooch Street, Birmingham, B5 7HY. Trading address: Unit 26, Monkspath Business Park, Solihull, B90 4NZ. Call: 0121 733 3387 Company Registration: 05538201"